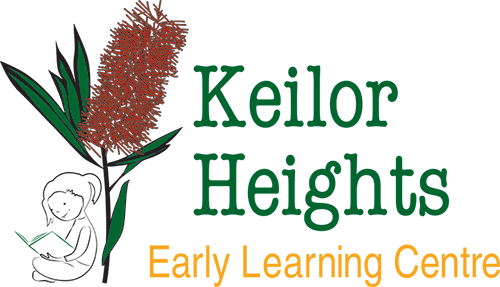 Keilor Heights Early Learning Centre Pty Ltd. (“KHELC”) is committed to safeguarding your privacy. The Privacy Act 1998 (Cth) (“Privacy Act”), Australian Privacy Principles and any relevant registered privacy codes govern the way we must manage your personal information. This policy demonstrates how KHELC collects, uses and discloses the personal information we collect during your interaction with KHELC. KHELC collects and holds personal information about you or your child (that is, information relating to an individual or which can be used to identify an individual) that is reasonably necessary for or related to our activities and the services we provide. The purposes for which your personal information is collected will usually be obvious at the time it is collected. KHELC collects personal information of parents and guardians, children, employees and stakeholders for the primary purposes of providing early childhood education and care services and advocating for the well-being, protection and development of children. KHELC will only use your personal information for the purpose it was collected or a reasonably expected or related secondary purpose. Kinds of personal information KHELC collects and holds may include your: name, gender, address, phone numbers, facsimile number, email address, date of birth, bank account details, credit card number, tax file number, Centrelink Customer Reference Number, date of birth (for CRN holder), custody arrangements and/or other information relevant to providing you with services. Additional specific information KHELC collects and holds about children may include their: name, former name, gender, address, Centrelink Customer Reference Number, immunisation status, date and place of birth, birth certificate, Medicare number, custody arrangements or parenting orders, dietary requirements, languages spoken, doctor’s details, medical conditions, additional needs, photographs and videos of children, samples of children’s work and general information about your child and your family that assists us in providing individualised early learning and care to children. Personal information will generally be collected from you directly through the use of our standard forms, over the Internet via our website, via email or written communication with you, or through a telephone conversation with you. Photos and videos of children and children’s work samples are collected at the KHELC centre. Name, address and phone numbers of children’s additional emergency contact people are collected from children’s parents or guardians. If you do not wish for your personal information to be collected you should discuss this with a KHELC employee. KHELC employees will act strictly in accordance with this policy and will be happy to discuss the reasons for seeking to collect your personal information. They will also discuss with you any consequences of not providing your personal information, or providing incomplete or inaccurate personal information, which may include an effect on what services KHELC can provide to you. KHELC takes seriously its obligations when dealing with your personal information. KHELC will collect, hold, and use that personal information for purposes associated with: providing early childhood education and care services; advocating for the well-being, protection and development of children; documenting children’s learning; managing children’s current or prospective enrolment; providing you with information about our organisation, services and activities via letters, email, SMS and other centre or organisation communication channels; and requesting information from you about our organisation and services via surveys. If KHELC has collected your information directly from you and we believe you reasonably expect us to, we will use or disclose your personal information to communicate directly with you to promote our services. KHELC will provide you with a way to easily opt out of receiving direct marketing messages, and will stop sending direct marketing communications if you ask us to. If you apply for a job with KHELC we will collect and hold personal information about you relevant to your application for employment, including your name and contact details, curriculum vitae or resume, employment history, academic records, working with children and police checks, and comments made to KHELC or its agents about you by your referees. We will use reasonable endeavours to keep such information confidential and if you do not commence employment with KHELC, we will destroy such records when no longer required in relation to your application. We reserve the right however to retain for our records any file notes or observations we make in interviews with you or your referees with respect to your qualifications and suitability for a role. In some circumstances KHELC may seek to collect personal information that is sensitive. This may include information such as your child’s racial or ethnic origin or any cultural or religious requirements. We are also required by the Education And Care National Regulations to collect and hold details of your child’s medical conditions, immunisation history and additional needs. We collect this information, as it is reasonably necessary for ensuring the wellbeing, protection and development of children in our care. KHELC will only collect your sensitive information with your consent and will ensure that it is stored securely. If you do not wish for your sensitive information to be collected by KHELC, you should discuss this with a KHELC employee. KHELC employees will act strictly in accordance with this policy and will be happy to discuss the reasons for seeking to collect your sensitive information. They will also discuss with you any consequences of not providing your sensitive information, which may include an effect on the services, KHELC can provide to you. KHELC will only disclose your personal information for the purpose it was collected or a reasonably expected or related secondary purpose. child protection agencies or family support agencies when we reasonably believe that a child is at risk of significant harm, as required by KHELC’s Child Protection Procedure. KHELC will not otherwise disclose personal information to a third party for any other purpose without your consent unless it is authorised or required by law. You may request access to your personal information. Ordinarily KHELC will require you to make a request for access in writing directed to the KHELC director. KHELC employees other than the director are not generally able to provide you with access. If at any time you believe that KHELC’s record of your personal information is incorrect, please let KHELC know. We will take reasonable steps to correct the information so that it is accurate, complete and up to date. In some circumstances, which are prescribed by the Privacy Act, such as where to do so might put a person at risk of harm or have an unreasonable impact on the privacy of others, KHELC may decline access to personal information. If your request for access is denied, KHELC will tell you why. Personal information collected by KHELC will be stored securely in paper form or electronically at a Keilor Heights Early Learning Centre. Only authorised employees from KHELC will have access to your information and this access will be structured in such a way as to ensure the use and disclosure as stated above. We will take reasonable steps to protect any personal information that we hold from unauthorised access, modification, misuse, loss and disclosure. KHELC may change this Privacy Statement at any time without prior notice. When we do so, we will notify you of the changes by posting an updated version of the policy on our website.